Less a tale of daring adventure than one of delusion, deceit and madness, Donald Crowhurst’s aborted voyage around the world makes for one of the most fascinating of maritime stories. In the autumn of 1968 businessman and weekend sailor Donald Crowhurst set out from England on board the ‘Teignmouth Electron’ as one of the competitors in the very first single-handed non-stop around-the-world sailboat race. The Sunday Times had conceived the Golden Globe Race to capitalise on the yachting fever then gripping the British Isles in the wake of Sir Francis Chichester’s first solo trip around the globe the previous year. Solo circumnavigation of the globe remains today “the Everest of sporting achievements” but back in the 1960s, before GPS, advanced weather technology, support crews and multi-million pound sponsorship, it was less a race than a near suicidal voyage into the unknown that demanded cavernous reserves of endurance and self-belief. Crowhurst and his fellow competitors – including the sole victor Sir Robin Knox-Johnston – were as much intrepid explorers as yachtsmen. As a relative novice competing in an untested trimaran, 35-year-old Crowhurst was certainly no pre-race favourite. So it was somewhat remarkable that up until its closing stages he was being hailed worldwide as a likely winner. However, he was never to return to England. Shortly after reporting his triumphal return up the Atlantic, Crowhurst's radio transmissions ceased and he was never heard from again. His vessel was later discovered adrift in a calm mid-Atlantic, structurally intact but with no one on board. Although no favourite, failure was never an option for Crowhurst. There was simply too much counting on his bid for triumph. Already attracted to the race by the fact that the financial reward and publicity assured in victory would offer hope for his ailing electronics business, he banked further on success by securing a hefty investment to buy and develop his competition vessel under the proviso that if he failed to complete the race, he would have to pay for the boat himself. What’s more, to add to the threat of financial ruin, Crowhurst fell under the auspices of exploitative public relations officer Rodney Hallworth who sold him to the press as the gutsy English underdog who would upstage his more worthy competition. Such pressure and expectation would be psychologically crippling for even the most self-assured of entrants, but Crowhurst was faced with the reality that his bid for glory was doomed before he had even set sail. As the deadline for starting the race loomed, Crowhurst found he was unable make his modified Electron seaworthy in time. However, knowing it was too late to pull out, he was forced to set sail regardless, with crucial equipment strewn haphazard across the deck and provisions left unsorted. As a gloomy omen of the torment to come, he had to return to harbour within only a few minutes when an anti-capsize air bag got caught up in the rigging. Crowhurst struggled from the start and made slow progress. When the frail and leaky Electron began to founder in the mid-Atlantic he was faced with the dilemma of either ploughing on into the perilous Southern Ocean where it would surely succumb to the treacherous waters, or returning home to face shame and financial ruin. He did neither. Instead he opted to stay put and fake a good progress around the world by logging false positions and speeds. Under no illusions that he could secure a convincing victory in this manner - he knew his bogus logbook would be heavily scrutinised upon return - he eventually decided to wait until his one remaining challenger, Nigel Tetley, returned home in the fastest time and then follow in a respectable, and less suspect, second place. He would then have to live with the shame of knowing that in reality he had not completed the race, and in fact had never even got beyond the Atlantic Ocean. For a time this audacious plan seemed to offer Crowhurst a glimmer of hope. 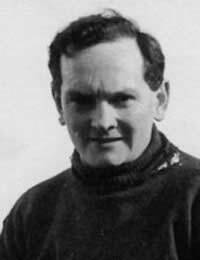 After first reporting that he would be unable to catch Tetley, Crowhurst began to head up the Atlantic homeward, rejoining the his official course route on its final leg. However disaster struck. In believing Crowhurst was hot on his heels, Tetley pushed his vessel to breaking point and sank in the Azores. Left with nowhere to turn and deepening feelings of guilt, shame and despair, the news plunged Crowhurst into even greater depths of depression. Shortly after making his final logbook entry on June 29th he decided his time had come and he abandoned his vessel and threw himself overboard.